Experts addressed four areas of interest: preclinical cancer immunotherapy, clinical cancer immunotherapy, microbial therapies for cancer, and microbiota and cancer. 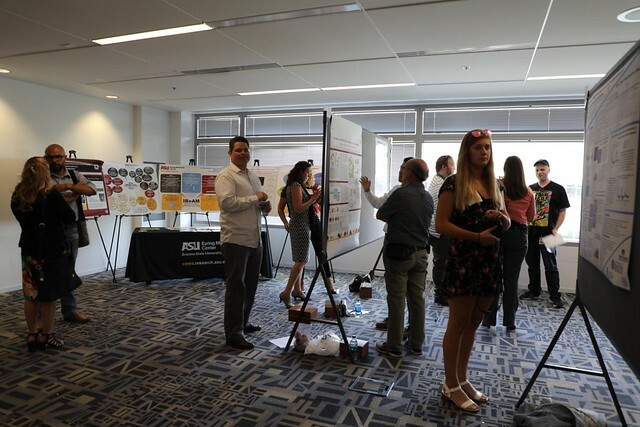 Researchers look at posters during a meeting of the Arizona Wellbeing Commons. A new statewide initiative, the Arizona Wellbeing Commons is bringing scientists, clinicians and partners together in a powerful network of professionals determined to find new answers to the questions about health issues that impact the wellbeing of residents of Arizona. The main goals of the project are to provide opportunities for experts around Arizona to align their research, share resources and mentor young researchers. Experts addressed four areas of interest: preclinical cancer immunotherapy, clinical cancer immunotherapy, microbial therapies for cancer, and microbiota and cancer. Overall, 14 researchers and a CEO of a biotech startup gave 15-minute presentations, with time for reactions, questions and new ideas. Co-hosts of the event, Karen Anderson, M.D., Ph.D., and Grant McFadden, Ph.D., researchers at Arizona State University’s Biodesign Institute, stressed that the aim of the event is to concentrate intellectual efforts from disparate sources into one place and foster collaboration across the state. This event combined two of the Commons’ six divisions: the cancer prevention, detection, management and treatment division and the viruses, immunity, microbiomes and infectious disease division. Rafael Fonseca, M.D., of the Mayo Clinic in Scottsdale, discussed his work with multiple myeloma, a condition that affects 20,000 individuals each year. He highlighted opportunities to collaborate, and discussed recent strides in immunotherapy research. Melissa Herbst-Kralovetz, Ph.D., a University of Arizona researcher, talked about her research in genital microbiota and cervical cancer, and what happens when HPV persists in the body. She discussed her interests in the diverse Arizona population that includes Latinas and Native Americans, a segment of the population that is sometimes underrepresented in previous studies. “I’m really interested in a statewide partnership and reopening my study for new opportunities,” she said. “We hope to stimulate thought and collaboration,” McFadden said. “We like to hear success stories.” McFadden encouraged the attendees to continue to actively pursue new collaborations that can spur scientific progress for the people of Arizona. Wellbeing encompasses a continuum from molecules to society. The Arizona Wellbeing Commons examines it through six lenses: cancer prevention, detection, management and treatment; mental health, substance abuse, crime and behavior change; neurobiology, aging, dementias and movement disorders; nutrition, obesity, exercise and lifestyle; public health and healthcare services, law, policy and equity; and viruses, immunity, microbiomes and infectious diseases. The state’s most prominent wellbeing researchers, clinicians, policy makers, payers, philanthropic groups and community advocates are expected to attend the annual meeting, which includes all divisions. The meeting will be held at Desert Willow Conference Center in Phoenix on Sept. 7 from 8:30 a.m. to 4:30 p.m. Last year’s event included about 400 people. Plans are also in the works for the neurobiology, aging, dementias and movement disorders division to meet in conjunction with the nutrition, obesity, exercise and lifestyle division on Dec. 5. Joshua LaBaer, M.D., Ph.D., leads the commons. 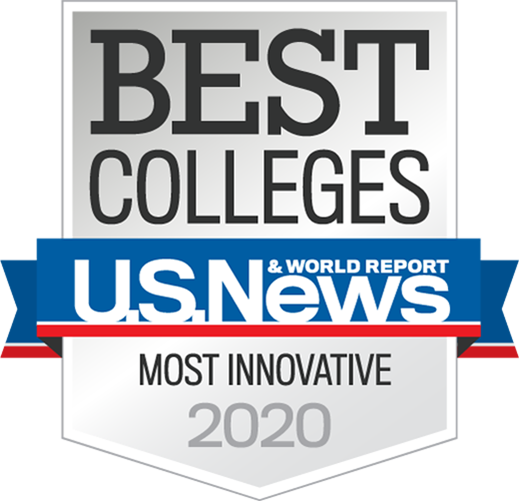 He is one of the nation’s foremost investigators in the rapidly expanding field of personalized diagnostics and executive director of the Biodesign Institute at Arizona State University. LaBaer is also director of the Biodesign Virginia G. Piper Center for Personalized Diagnostics, the Dalton Chair of Cancer Research, a professor in the ASU School of Molecular Sciences and an adjunct professor of medicine at the College of Medicine, Mayo Clinic.